My dad loves cooking. So we let him have his way in the kitchen. 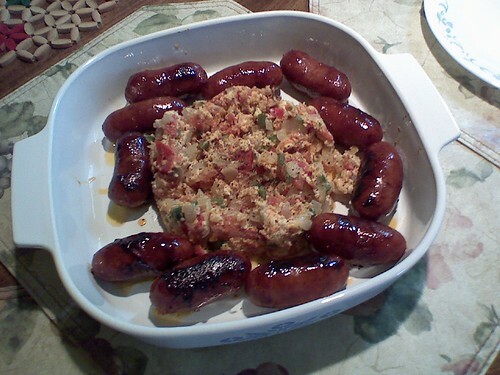 We had a tomato egg scramble with Filipino sausages and rice.